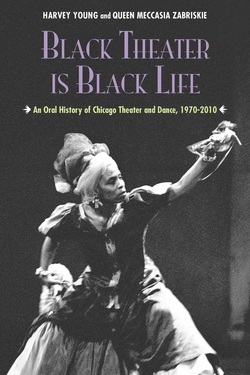 Black Theater Is Black Life fills a critical gap in the history of African American culture in Chicago. Through interviews with prominent producers, directors, choreographers, designers, dancers, and actors, Young and Zabriskie create a portrait of a diverse, dynamic artistic community between 1970 and 2010. They frame this history with helpful guides, including a chronology of key events, a glossary of names, and an appendix of leading performing arts institutions in Chicago. Idy Ciss, Kevin Iega Jeff, Tosha Alston and Daniel "Brave Monk" Haywood.